Here is an interview I did with Mark Guscin on the Sudarium. David Alexander, now deceased, was a model for how the napkin was wrapped around a human head. This takes us to the crucial question: is the Sudarium of Oviedo “the cloth that was about his head” mentioned in the Gospel according to John 20: 6-7? It must be remembered that this is possible precisely because, being soaked in blood, it had to be kept in the tomb, in accordance with Jewish burial customs. 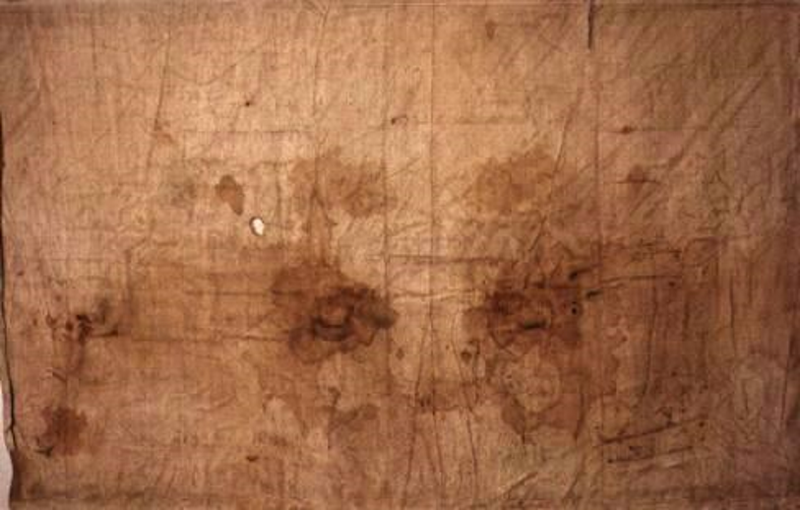 The striking points of similarity between the Sudarium of Oviedo and the Shroud of Turin make it possible to deduce that they had been used on the same corpse. If, therefore, more concrete evidence can demonstrate that both cloths were really in contact with the same dead body the 1988 radiocarbon dating would have to be laid to rest. There can be no doubt that the cloth preserved in Spain has importance to Shroud history. However, the issue is very complex, because although there are points relating to authenticity, an association would also have to be established with Jesus. A lot more work needs to be done and the views of experts in the field of medicine demand attention; the issues that are pending are not few. It is not possible to say when exactly the Church will allow another in-depth examination of the two relics. Fortunately, research has not come to a standstill in Spain and the latest findings have come from the able hands of Dr. Juan Manuel Miñarro López, professor of Sculpture at the Faculty of Fine Arts in Seville. His masterly monograph, entitled Sobre la Compatibilidad de la Síndone y el Sudarium (On the Compatibility of the Shroud and the Sudarium), richly illustrated with images, diagrams and photographs, was published in the no. 56, January- June issue of Linteum, the high quality journal published in the Spanish language by the Centro Español de Sindonologia in Valencia, Spain. The Sudarium has been confined to an undeserved silence beyond Spain. It is time, therefore, for Spanish and more American scientists to get together and produce new in-depth studies. The CES, made up of highly qualified members, many of whom teach at universities or work in other institutions, is aware of the need to set aside language barriers and is in the process of producing a scientific magazine in English. If their research continues at this rate it may well be that the Sudarium of Oviedo is the key to interpreting the Shroud of Turin, as maintained by Professor Jorge-Manuel Rodríguez Almenar, president of the organisation. You will want to read the entire paper. The Sudarium of Oviedo as Evidence? It is a well written posting, The Forensics of the Sudarium of Oviedo – The Shroud of Turin. He, whoever he is, who calls his blog “He Rose for Grace,” nicely summarizes the documented history of the Sudarium. He explains the bloodstains and plant pollen found on the this 84 by 53 centimeter (33 by 21 inch) piece of cloth. Fine. But, then, really? Though the stains were smeared, modern technology has been able to decipher facial features from when the cloth covered the face. They show typical Jewish features including a prominent nose and cheekbones. No. It is people who decipher facial features. They may use modern methods and tools. But, in the end, it is totally subjective. Can anyone really say the stains show typical Jewish features? I’m open to being convinced. So far, I’m not. And then, if I am convinced, so what? Probably the most sentimental characteristics of the cloth is in its coincidental details that match the Shroud of Turin. First off, the blood on both cloths belongs to the same group, AB. The length of the nose from where the the pleural oedema fluid came onto the sudarium, measures 8 cm. This is the exact same length as the nose on the Shroud. There is an exact fit of the stains with the beard on the face. There is a small stain on the right hand side of the mouth. This stain is barely visible on the Shroud, but Dr. John Jackson, used the VP-8 and photo enhancements to confirm that it is there. Thorn wounds on the nape of the neck also coincide with the bloodstains on the Shroud. Dr. Alan Whanger used a Polarized Image Overlay Technique to study the sudarium, comparing it to the bloodstains on the Shroud. The frontal stains on the sudarium have seventy points of coincidence with the Shroud, while the back side has fifty. There is no doubt that the Oviedo sudarium covered the same face. It would seem that in light of these recent scientific findings, the dating for the Shroud need no further investigation, the authenticity is confirmed with the holy relic of the Sudarium of Oviedo. Just what is a point of congruence in this case? Can I see some examples? I know about the points of congruence with the claims for coin images. I’ve seen some of those and actually used a Polarized Image Overlay Technique. Some points looked impressive but I wondered if they meant anything. Other points seemed nebulous. Maybe it was me. I was never really convinced that a point of congruence analysis was valid. Where is this method documented? I’ve read about using POC for fingerprint analysis and I understand it enough to know that this is very different. POC for fingerprint matching uses well known, well understood, carefully defined patterns. Matching coins and matching bloodstains is something different altogether. Moreover, I am convinced by other evidence that those coin images that supposedly match coins, do not exist on the shroud. That makes those points of congruence seem meaningless. So why are the bloodstains POC any different? Having said all that, I think it might really be that the Sudarium and the Shroud are linked by bloodstains. But can we say so scientifically? I think that if we are going to convince people, we need to show them in a convincing way. Roberto Scalese of Boston.com (Boston Globe) tries his hand at defining a relic while writing, Why is a Vial of Pope John Paul II’s Blood Coming to Boston this Weekend? 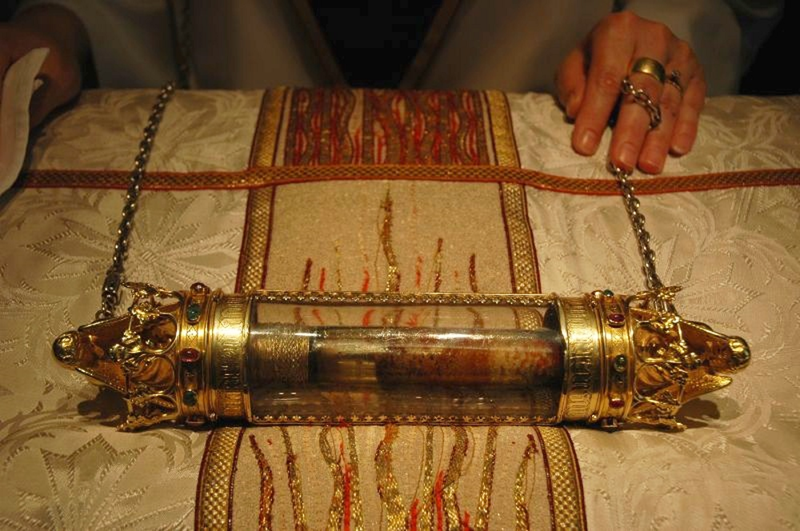 For the uninitiated, relics are a big deal in Catholicism. According to the Catholic Education Resource Center, there are three classes of relics. First class relics are from the actual body of a saint. Like this vial of John Paul II’s blood. Then there are second class relics, which are objects used by a saint. Picture a frock or scepter. Third class relics were touched by a saint. The Shroud of Turin is probably the most famous third class relic, even if its authenticity is in doubt. Saint Jesus? Which saint touched the shroud? Joseph of Arimathea? Or should it be what saint instead of which, implying many more? Here we need to pause for a moment. Perhaps in our technological age, the whole idea of relics may seem strange. Remember, all of us treasure things that have belonged to someone we love—a piece of clothing, another personal item, a lock of hair. Those “relics” remind us of the love we share with that person while he was still living and even after death. Our hearts are torn when we think about disposing of the very personal things of a deceased loved one. Even from an historical sense, at Ford’s Theater Museum for instance, we can see things that belonged to President Lincoln, including the blood-stained pillow on which he died. More importantly, we treasure the relics of saints, the holy instruments of God. Didn’t we try our hand at this when the pope called the shroud an icon? To my way of thinking the shroud is a all-classes relic of Christ, plain and simple. So, too, the Sudarium of Oviedo is all-classes. So, too, a small cloth with the blood of Christ at the Basilica of the Holy Blood at Bruges in Belgium is such a relic. Of course, questions abound. Just weeks before the congress took place, new samples from the Sudarium were subject to carbon dating. Five samples were dated from five different cloths –three of them came up with the expected date, while the cloth from an Egyptian mummy returned a date of any time in the 19th or 20th centuries. The laboratory immediately concluded that the cloth (and the mummy) were fakes. The sample from the Sudarium was dated to around 700 AD. Scientist César Barta spoke about the carbon dating process, emphasising the fact that if carbon dating is always absolutely accurate, then we could just as well finish the congress there and then. However, there were several points to bear in mind– in specialist carbon dating magazines, about half the samples dated come up with the expected date, around 30% with an “acceptable” date, and the other 20% is not what one would expect from archaeology. The laboratory used (via the National Museum in Madrid) said they were surprised by the result and asked if the cloth was contaminated with any oil based product, as oil is not cleaned by the laboratory processes used before carbon dating and if oil is present on a sample, the date produced by carbon dating is in fact the date of contamination. Finally, the history of the Sudarium is very well established and there are definite references to its presence in Jerusalem in AD 570 and at the beginning of the fifth century. Micheal Hesemann in a recent book (“Chusta Chrystusa, Naukowcy na tropie zmartwychwstania” pg. 230-232, that is polish edition of “Das Bluttuch Christi”) gives some more details. The dating was performed by Beta Analytic Inc. from Miami, and the result was 660-890 AD. It is curious, because so far we know, the Sudarium had been carbon-dated in the 80s, by two laboratories: Tuscon and Toronto, based on samples taken from it by Max Frei and Pierluigi Baima-Bollone. Various accounts about the results exist. So far I have met: 653-786 AD Toronto, and 642-769 AD (in other version 642-869 AD) Tuscon. Micheal Hesemann, on the other hand, reprots 540-869 AD. Also "between 1st and 9th century" claim was made at one point. Does anyone has any more details about 2007 dating? So far I know, on the Barrie’s site, on the Valencia conference page, there is listed a paper called ‘Dating the Cloths by the C14 Method – The Oviedo Sudarium’ by Felipe Montero Ortego, but it seems to be inaccessible either via Barrie’s site, or the Google. 2. The second issue is that I have found interesting site of Micheal Hesemann. Mainly German, but there are a few articles in English. Many question remain unanswered: Did St. Gerasimus discover a hiding place of the early Christians, did he find the long-forgotten “Sudario Domini” in these very caves, maybe preserved in a wooden chest or a large jar, like the Dead Sea scrolls? Or was the precious relic entrusted to him by his teacher, St. Euthymius, the “founder and patron of the Judaean wilderness”, who established several laurae of hermits in the Judaean desert? We can only speculate about the details. 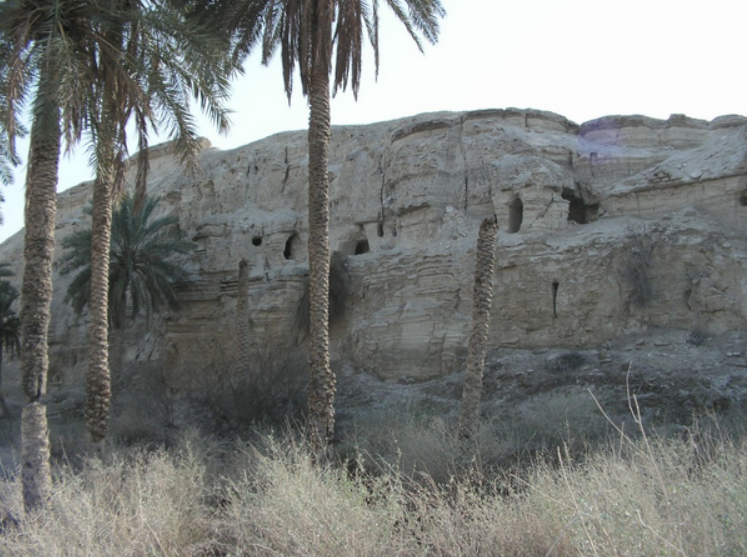 But we can say for sure that Antoninus gave an accurate description of the cave monastery which existed in the cliffs of the Wadi en-Nukheil, at least since the 5thcentury. And that in this cliff laura, according to the pilgrim’s report, the Sudario was once venerated, before it was brought first to Africa, then to Spain.